Hello everyone and welcome back to my blog! 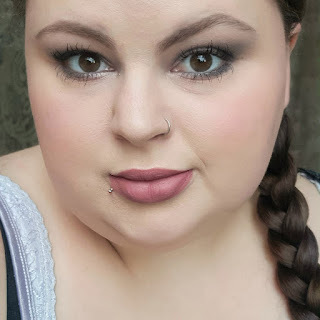 My last post I did a flawless “No Makeup, Makeup Tutorial” and I love that look, but this look is a little more my speed. 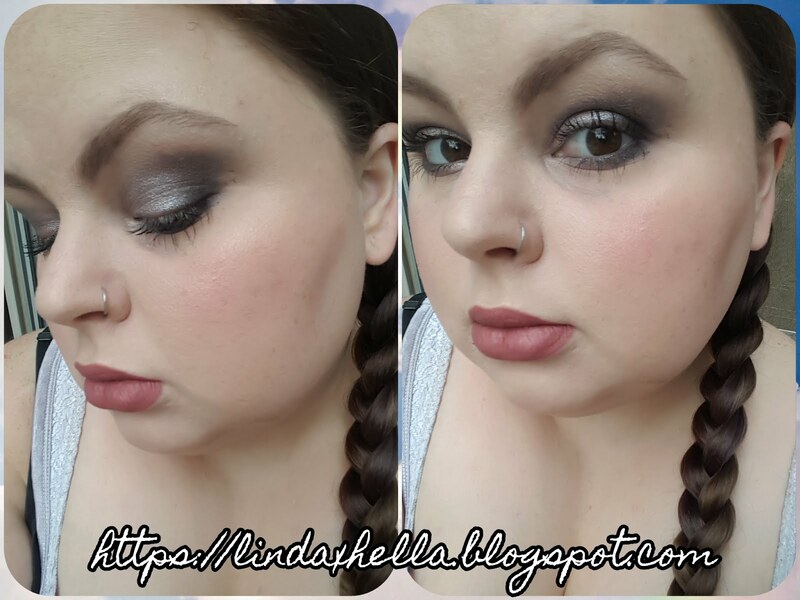 It’s dark, smoky, and shimmery! Today I used the Makeup Revolution Redemption Eyeshadow Palette in Romantic Smoked. There are six shimmer shades ranging from dark to light, and six matte shades ranging from light to dark lol. For these palettes being only $7, they’re great! Makeup Revolution tends to nail whatever they do! To start out this look I used the same primer as always. It’s the only one I have, but it works really well! I’m going to try and lay out this post a little different than normal. Let me known if you like it! Step 1: Prime your eye lids with the Hard Candy Eyeshadow Primer and set it with the matte cream shade in the palette. Step 2: Pick up a little of the dark gray and start working it through the crease and outer corner. Then go back in and start building up the color. Also bring it under the lash line 2/3 of the way. Step 3: Once your eyes are smoky and soft, lightly add in the black shade tighter in the crease and corner. And outer third of the lower lash line. Step 4: Here’s my favorite part! The lavender-ish silvery shimmer! I wet my brush with my Elf setting spray and packed on this shade all over the lid, bringing up any extra and getting rid of harsh lines. I also took this on the inner third of my bottom lash line. Step 5: The edges looked kind of harsh so I took the cream matte shade on the brow bone to fade out the edges. For my actual brow bone shade, I took the frosty white shade and put a little just under my brow. Step 6: For my waterline I used a sparkly black pencil and a lengthening Mascara in Black. I need a new eyeliner! Please recommend some that work well on wet eyes! Thanks so much for checking out this post! I hope you’ve enjoyed it! The is the eye look finished! Down below I’ll list all of the products I used, as well as my social media links! Please do me a huge favor and comment or share this post! It helps me get my name out there and shows how you like the posts!